We work for our customers, not their insurance companies. 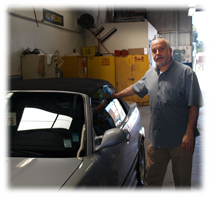 In fact, we are one of the highest rated body shops by the Bay Area Consumer’s Checkbook. Properly repairing today’s complex vehicles requires more expert knowledge and specialized equipment than ever before. From minor dings to major collision damage, our skilled personnel has the experience, knowledge and proper equipment to restore your vehicle to pre-crash condition. Every operation, from realigning unibody components to installing decorative trim must meet our demanding standards of quality. Our state-of-the-art repair techniques assure that you receive the highest quality of bodywork. Automotive painting and refinishing is truly an art. Properly matching the exotic finishes found on many of today’s vehicles requires special expertise in application techniques. Our painters combine the latest techniques with the keen eye of an artist to create “never been damaged” quality finishes. They take every precaution to ensure the final finish matches your original paint in both appearance and quality to protect and preserve the value of your vehicle. Our painting expertise allows us to deliver only the highest quality of refinishes. 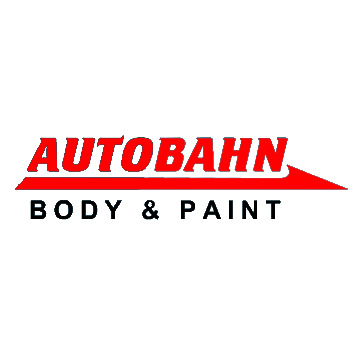 Jaswal built Autobahn Body & Paint from the ground up. 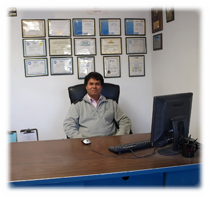 The business is family owned and operated since 1992. Peter has been known for his excellent customer service and professional appraisals. Ask for Peter to get the job done right.